This is one of the coolest things ever. Throughout the year, the Writers Guild Foundation is posting pages from all of the scripts on its list of 101 Greatest Screenplays. 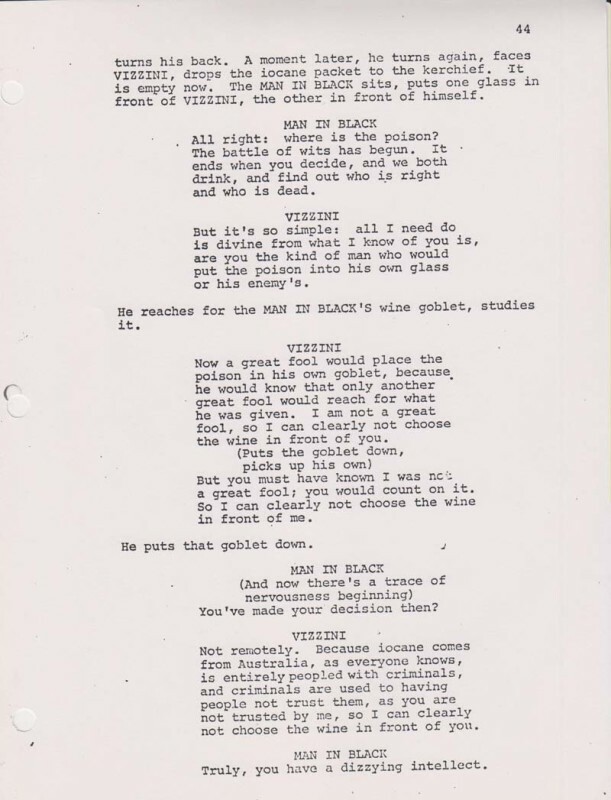 This week, they’ve posted pages from the all-time masterpiece, The Princess Bride. If you haven’t yet, you should check out the Writers Guild Foundation website. They offer some great programs for professional and aspiring writers and those who simply appreciate learning more about the craft. You can make a donation at www.wgfoundation.org and buy tickets for their upcoming programs.